Lucy's kitchen plumbing goes amuck, and Mr. Mooney approves her getting a plumber. The plumber who shows up is a dead ringer for Jack Benny, whose life in plumbing and music has been ruined by the resemblance to the comedian. Just like Benny, he's a violinist, but his classical music career was subverted. 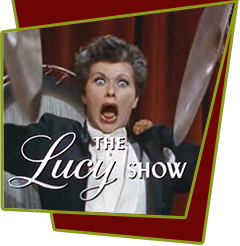 Lucy, who had previously gotten a merchant on a local TV talent show with disastrous results, schemes to do better for the plumber. She decides to help him out by introducing him to the talent show, the same show she was kicked off of a week earlier because of the lousy dog act she had presented. Special Notes: This is the first of the episodes that do not feature Vivian Vance. Part of the healing process between the ladies is that Vivian gets several weeks off during the season where she is not required to travel to California from her East Coast home.